The following is a listing of the playoff schedule & results for the 2017-18 Spokane Chiefs. Spokane finished the 2017-18 regular season with a 41-25-3-3 record, which ranked 3rd in the U.S. Division and 4th in the Western Conference. The Chiefs return to the playoffs after missing the playoffs last season, snapping a streak of 10 consecutive seasons with a playoff berth. The Chiefs look to advance past the Western Conference Quarterfinals, something the team has not done since the 2012-13 Season. 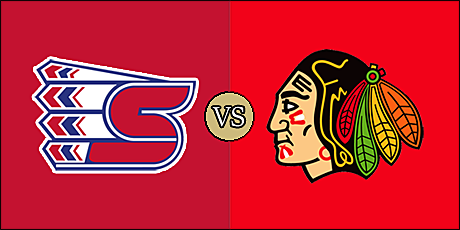 The Chiefs also look to advance past the Portland Winterhawks, a team they have not won a playoff series against since 2002-03. That season, the Chiefs defeated the Winterhawks 4 games to 3 in the Western Conference Quarterfinals. 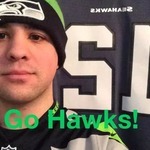 The Winterhawks have defeated the Chiefs in three consecutive postseason series; Portland won the 2010 Western Conference Quarterfinals in seven games, the 2011 Western Conference Finals in six games, and the 2013 Western Conference Semifinals in a 4 game sweep. The following is a listing of the Chiefs' playoff results. Games in Bold Red denote home games. Click on the final score for the recap the WHL's website.